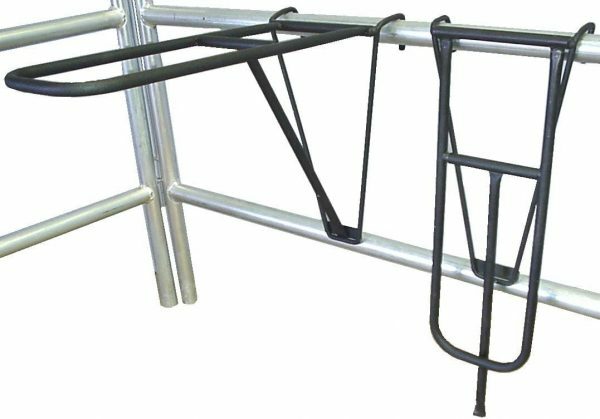 # 3613 Portable fold down rack, black - Buildings and Barns, Inc.
Easty to move or take along on trips or shows. Fits over stall walls, corrals (pipe or wood),& horse trailers. Made of steel tubing and solid bar stock. Black powder coat finish. 24″L x 11.5″W. Weighs 3 lbs.